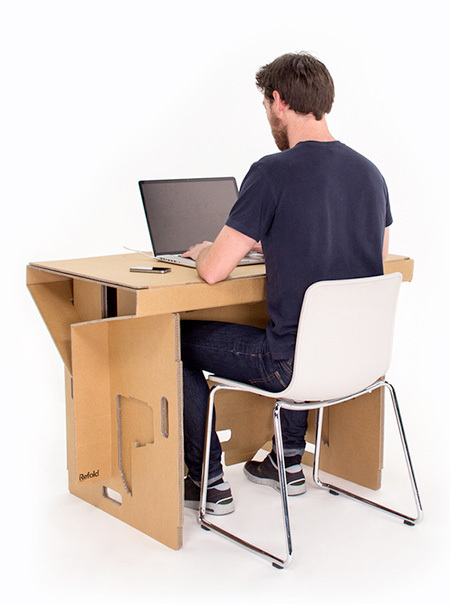 Innovative desk made out of cardboard can be easily folded and transported. 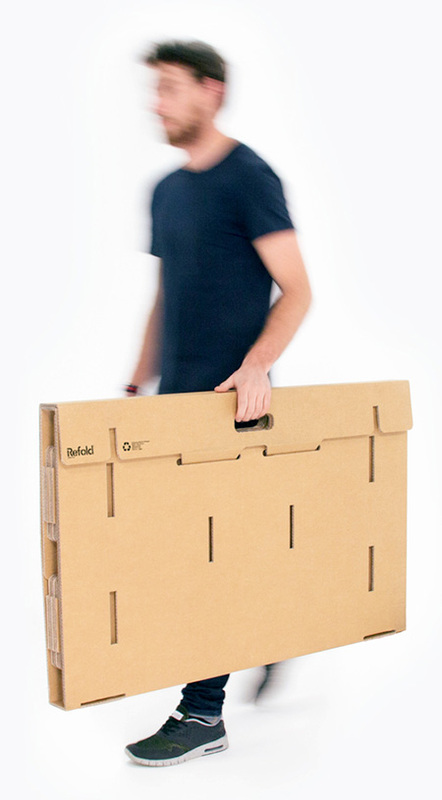 Eco-friendly Refold desk is lightweight, durable, and 100% recyclable. 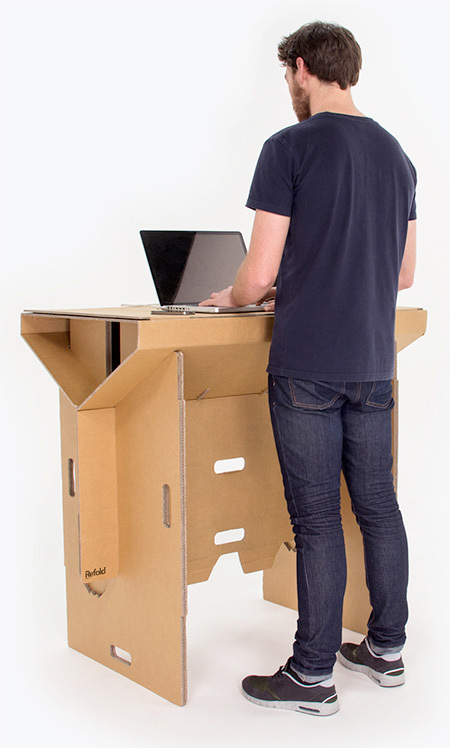 Move your desk to any location. Assembly takes less than 2 minutes. Gosh …. I love this ….